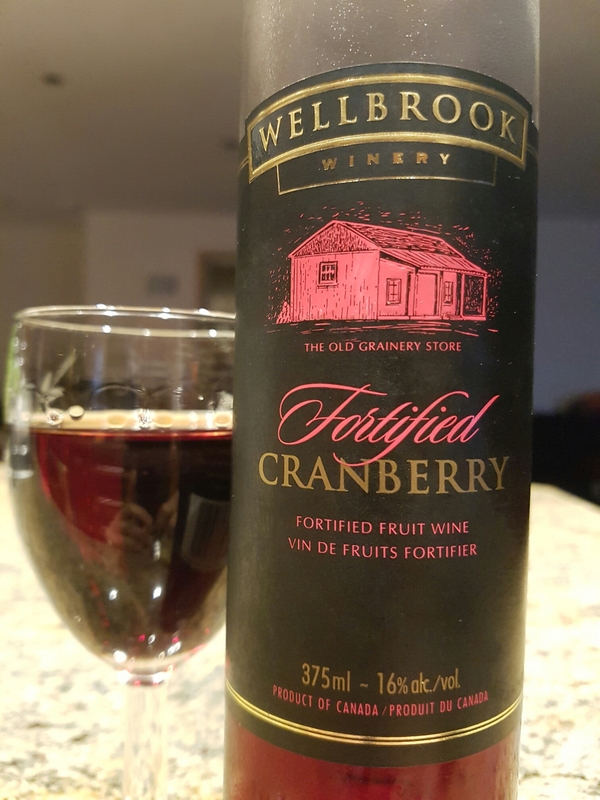 Fortified Cranberry Fruit Wine – Wellbrook Winery (Delta, BC, Canada) | Justintoxicated. Visual: Pours garnet red with noticeable legs, clear and slightly thicker viscosity. Summary: A much more dynamic and rewarding drinking experience than the Isabella Winery Cranberry Dessert Wine (C-) that I had a couple of days ago. It’s a bit alcoholic up front but the cranberry aromas tone it down and gradually release the heat. Quite sippable.